This beautiful piece by Janáček was originally written for piano. 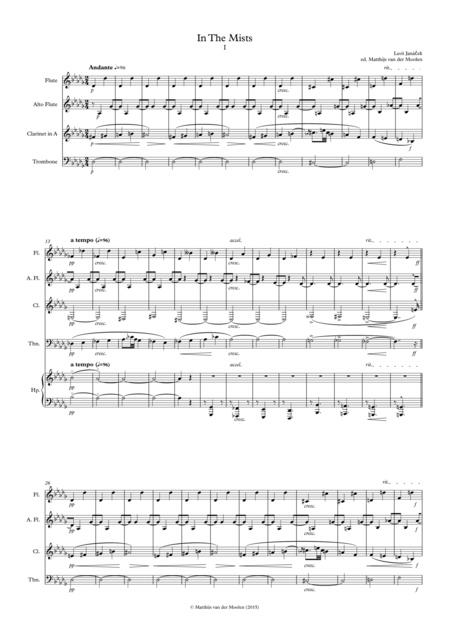 The composer also wrote a lot of music for harmonium, so the instrumentation of this arrangement (wind quartet and harp) actually suits the piece very well.The arrangement was originally written for the Dutch ensemble 'Ongestreken', but now also available online. The variety of instruments makes an enormous amount of colors possible, of which many are used in this arrangement.